The popular Presenter Search phenomenon is back on SABC3! 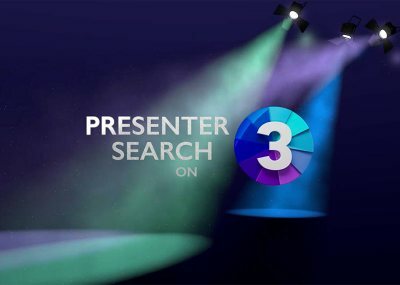 The Presenter Search on 3 spotlight is searching for television presenters for various shows on SABC3. You’re not just auditioning to host a TV show; we are looking for brand ambassadors that embody the spirit of SABC3 as a channel that shines the spotlight on our progress and aspirations. If you have what it takes, then the opportunities are endless and the stage is yours! Cape Town on Saturday the 7th and Sunday the 8th of April at Newlands Rugby Stadium. The entrance to the auditions is on the north side of the stadium (Lower Kelvin Road) at the Pickard Stand. Arrive at the audition venue on the day of the audition. There will be a long queue to register so arrive early! If you have a photo of yourself please bring it along. At registration you will be given a registration form to fill out and allocated an audition number. Keep your number, your photo and your form and wait your turn to audition. Please note, you have to be 18 years or older to audition. All contestants must provide ONE PRINTED PHOTO of themselves at auditions. We will attached the image to your audition form. If you don't have a photo don't worry - you can still audition! Ensure you bring the following to auditions: Water, sunscreen or an umbrella for shade. Wear something that defines your style. Please avoid fine stripes and large brand logos. Prepare a 10-15 second audition that introduces you to the judges and to the world. Explain who you are and woo the judges with something catchy, witty and interesting. There will be lots of vibey and awesome people at each audition. Come expecting to make friends. Queues can be long and the days hot so come prepared for the weather and for a long wait. Although food and drinks will be available at the audition venues to purchase at your own cost. We suggest bring something of your own just in case. Each venue will provide free WIFI. Bring your cell phones and get ready to tweet and take some selifies. You may just get to meet you favourite SABC3 personalities. When you enter the audition room, say hello to the judges, make sure you have your registration number attached to yourself and clearly visible, and when you’re ready, you’ll deliver your very first link. You’ll walk from one mark (an X) on the floor, to the next mark (another X on the floor), whilst delivering a 10-15 second link that introduces you to the judges and to the world. Explain who you are, what makes you unique, and woo the judges with something catchy, witty and interesting - all while walking from the first mark to the second mark. How do I know if I made it? If you’ve made it to the Call Back stage you will receive a call from the show producers on the last night of the auditions. If you auditioned in Port Elizabeth Call Back Contestants will be notified on the night of the 25th of March. If you auditioned in Cape Town Call Back Contestants will be notified on the night of the 8th of April. If you auditioned in Durban Call Back Contestants will be notified on the night of the 15th of April. If you auditioned in Johannesburg Call Back Contestants will be notified on the night of the 22nd of April.